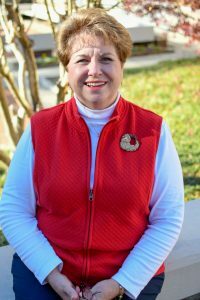 After graduating from North Moore High School, Portia Clark worked in the private sector before coming to Sandhills 33 years ago. She and her husband, Terry, had one of the first weddings in the Sandhills Horticultural Gardens. And Portia knows a lot about family. She was raised on a farm in Biscoe with two brothers and two sisters and has three children and five granddaughters. Portia manages accounts payables for Sandhills, processing invoices and vouchers, printing checks, and mailing payments. Among these and various other tasks, she works with co-workers and trustees concerning travel advances and reimbursements.